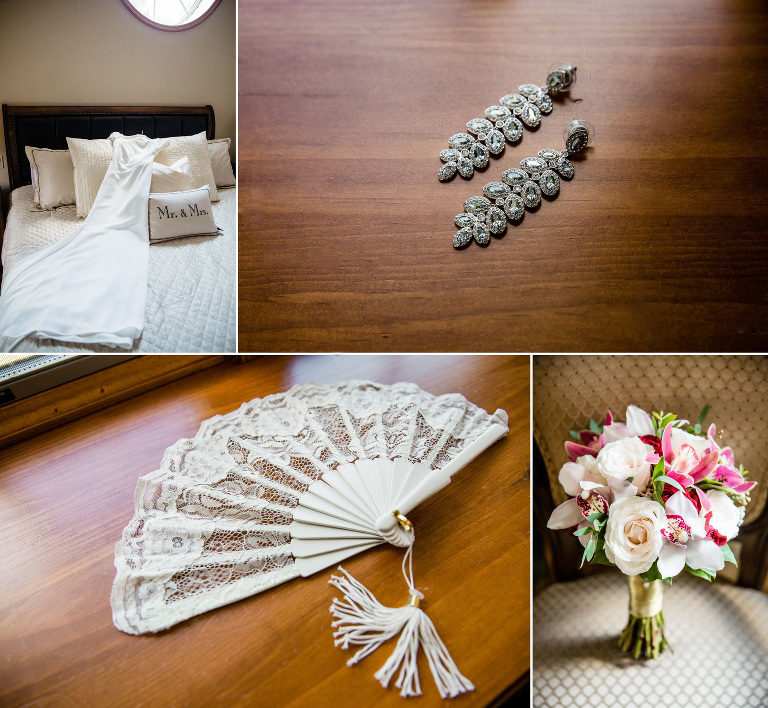 The day could not have started out more perfectly for Leda + Ewan on this sunny and warm July day. 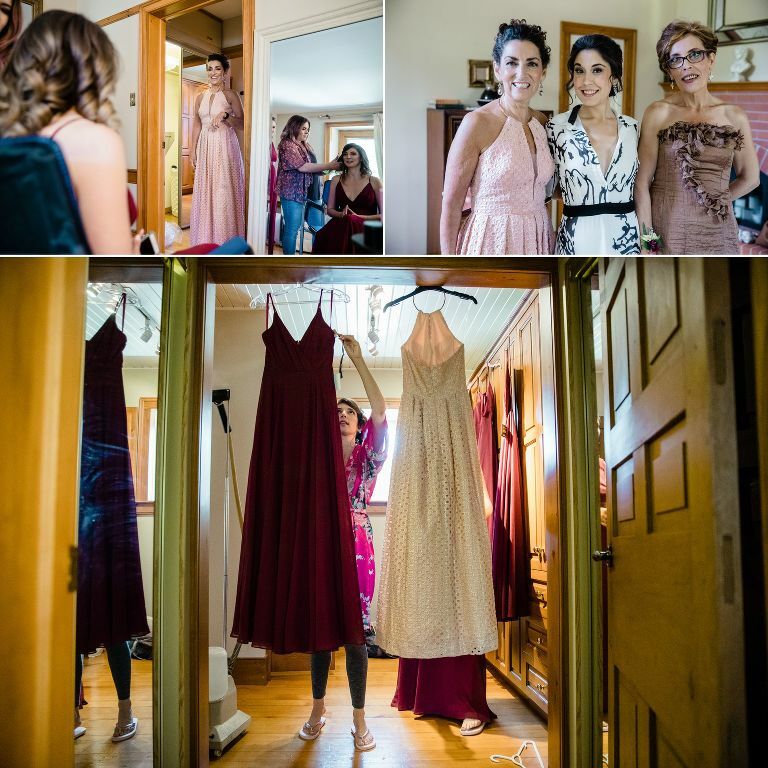 While the gentlemen helped prep the final touches for the outdoor ceremony and reception, the ladies were tucked away in their large suite getting ready and enjoying some champagne. The Roseville Estate is a gorgeous venue space with acres of manicured landscapes, a rustic barn with pendant lighting, mature trees that go farther than the eye could see. I love photographing in these types of venues as its wonderful to have all elements of the wedding in one space. 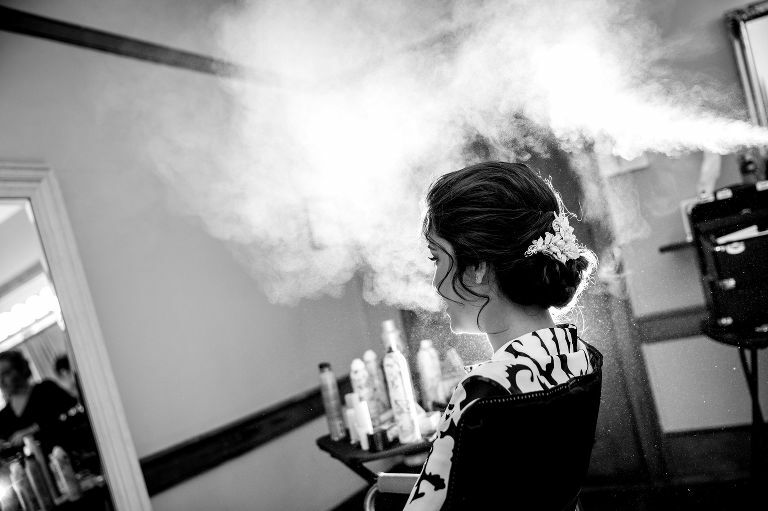 It gives me a great opportunity to get plenty of guest candid photos and explore the surroundings with my bride + groom. Ever since our amazing engagement shoot, I just couldn’t wait to be part of their big day. Their sweet, funny and easy-going personalities made it a wonderful experience and they were up for any creative ideas I had planned for them. The ceremony took place outdoors, surrounded by birch trees that made us feel like we were ‘one with nature’ and deep in the forest. The officiant was Ewan’s mom – an ordained minister which made the experience all the more special and intimate. Both Ewan + Leda’s sentimental vows left everyone smiling and teary-eyed throughout – a complete pleasure to capture! The weather was amazing – pleasant and not humid so the outdoor white tent was the perfect venue for their evening reception. Having photographed his brother’s wedding two years prior, I already knew that it was going to be an amazing evening and it really was. It was an honour being part of your big day and wish you all the best! Congratulations L+E!